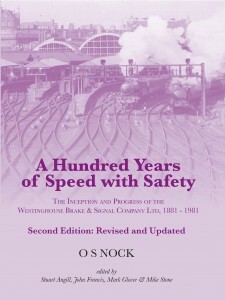 The original and definitive historical text giving the history of WB&S between 1881 and 1981. 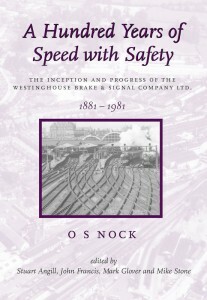 OS Nock was an outstanding and prolific railway historian, but he was also Chief Mechanical Engineer at Westinghouse – writing this centenary history in 1981. The book was not published at the time, but 25 years later it was revised and augmented by a comprehensive selection of images, complementing this important and authoritive text. 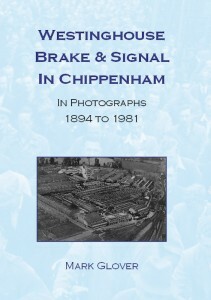 The editorial team consisted of three Fellows of the Institution of Railway Signal Engineers, and the then-Curator of Chippenham Museum & History Centre, who have worked together to bring many of the more detailed engineering concepts to life through a range of 46 explanatory boxes, many diagrams and over 270 photographs. More than 70 new photographs from the Westinghouse archives – now over 280 photos!! Published by polunnio, December 2010. This remarkable photographic record illustrates the efforts, innovation and working conditions of the thousands of dedicated staff that have spent their careers on the Chippenham site. For the first time, over 170 photographs have been brought together in one volume, with subjects ranging from the earliest activities of Evans O’Donnell in the 1890s to the technological advances of WB&S in the late 20th Century. Now out of print – but viewable on the website. Click here.